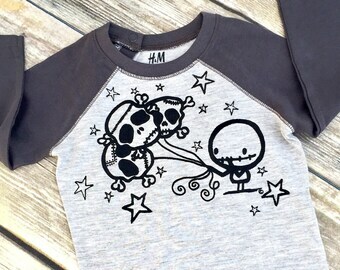 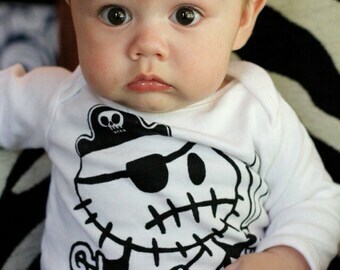 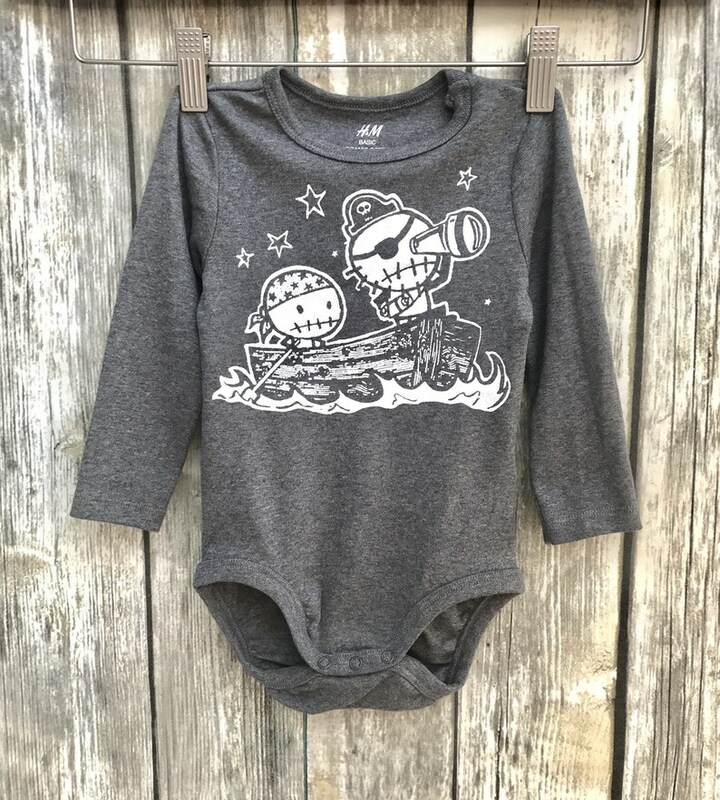 One little romper, featuring our screenprinted Zombie Pirates design. 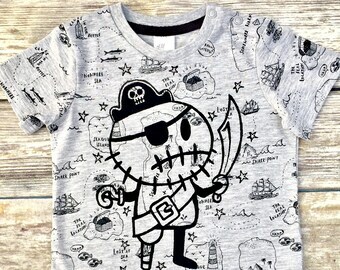 Permaset Printing ink is non-toxic, water based, permanent. 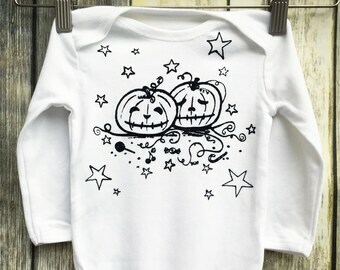 Screen printed on to an H&M organic cotton onesie in our home studio.